How does DriveNow car sharing work? DriveNow's smart car sharing concept combines the freedom of a car without the hassle or expense of ownership. 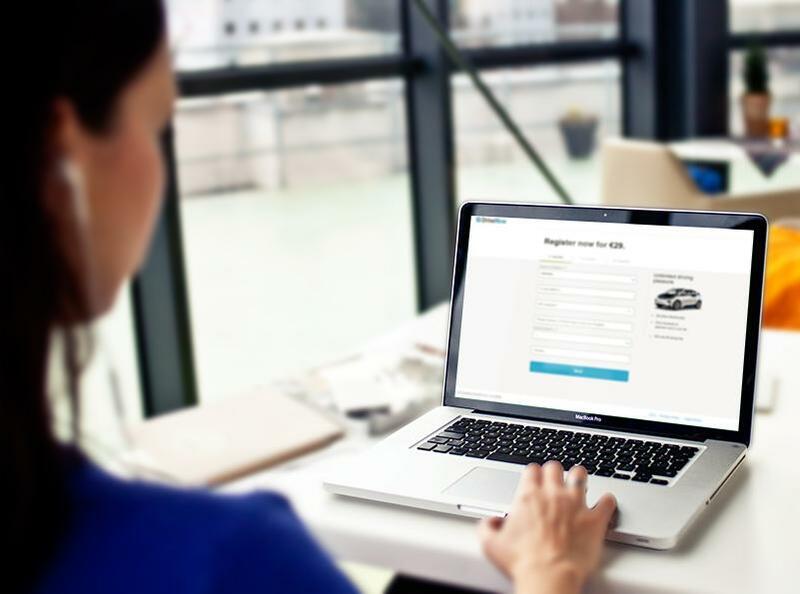 Join the flexible car sharing service and rent a BMW or MINI on-demand. Choose your favorite from eight of the latest models and jump in and out, wherever you want! Find out how simple it is to use DriveNow here! Join today. Experience flexible car sharing with DriveNow. Register online using our registration form. There is a one-off registration fee of €29. Visit one of our nine registration stations throughout the city to activate your account. Please bring the necessary documents, e.g. driving licence, personal ID and payment card. For international driving licensed please refer to our international regulations. Here you can find our registration stations. Now all you have to do is download the DriveNow app, and you're good to go. Sounds good? Then register online now. Download the app here! Whether you need a car during the day or at night, DriveNow cars are parked all over the Vienna DriveNow Zone – ready for you to jump in and drive off! No dedicated pick-up and drop-off points, just complete flexibility! You can locate your nearest car in a flash, using your smartphone or tablet. It pays to be quick though – a car can be reserved for you for up to 15 minutes before you need it. You can also reserve the car you want for up to 8 hours – at a cost of 10 ct/min. How can you tell if the car is ready to rent? With our traffic-light system! A reader on the windscreen shows different coloured lights depending on the availability of the car. Green: the car is available for rental. Yellow: the car is currently reserved. Red: someone else has rented the car. 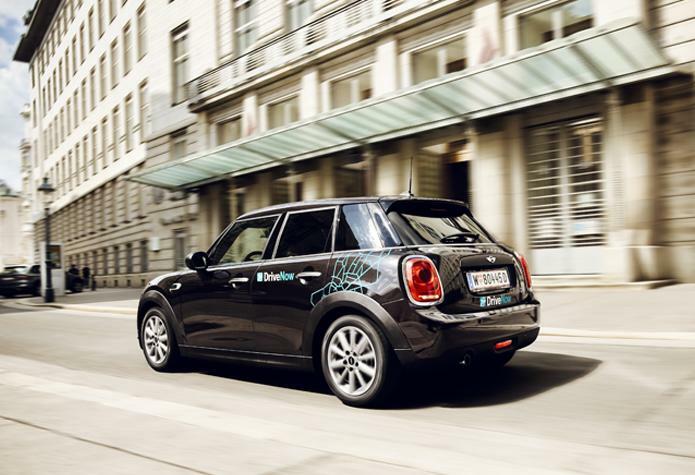 Would you like to rent a BMW, or is a MINI more your style? DriveNow always has the right car ready to go – whatever you need it for! All our cars can be unlocked and locked using the DriveNow app. Simply tap the ‘Unlock’ button to open your reserved car. Alternatively, you can hold your customer card up to the reader on the windscreen. Get in the car and enter your PIN directly in the app via Touch-/Face ID or fingerprint. Then simply press the start/stop button right next to the steering wheel and off you go! The in-car display will guide you through the logging in process step-by-step after you’ve entered your PIN. You are able to park your car, without giving it back. Simply select "Park and keep" in the app or car display then lock the car using the app or the DriveNow customer card. Wait for a couple of seconds, until the light turns red, the car is reserved until you comeback.“Park and keep” can be used outside the DriveNow Zone and is free of charge between 10pm and 6am from Sundays to Fridays. Our full parking rules can be found here. All fuel charges are included at DriveNow! Each car comes with a fuel card or charging card depending on the car type. When the fuel tank is below 25% when you start your rental your account will be credited with 20 bonus minutes. To receive these bonus minutes, the fuel level will need to be over 90% at the end of your rental. For all BMW i3, they will need to be returned to a charging station and plugged in. Good to know: The fuel / charging card is located in the central armrest of the car. You can enjoy DriveNow when you travel abroad! If you pay by credit card, and have accepted the terms and conditions for the specific country, you can enjoy the benefits of car sharing in each of the DriveNow cities. Requirements for using DriveNow car sharing abroad. Bye for now – simply drop off your car! With DriveNow you don’t need to return the car to where you picked it up from. Just drop it off for free in virtually any on-street public parking space within the DriveNow Zone. You don't need to pay and display a parking ticket with DriveNow - we’ve got it covered! There are some parking restrictions in Vienna - check out our Vienna parking guidelines. Lock the car using the app or your DriveNow customer card and wait a second or two until the light turns green to confirm the end of the rental. That's all folks! The DriveNow Zone in Vienna stretches from Schönbrunn Palace to the Donaustadt district, and from the Nordbrücke in the north, to the U3 station Simmering in the south. The DriveNow Zone also includes Vienna International Airport, so that you can even use DriveNow car sharing to get you to the airport. - Within the blue line - Area where cars can be found and parked. - Red – Not allowed to end rental. With Drive’n Fly at Vienna International Airport you can pick up and drop off your DriveNow BMW or MINI in the dedicated DriveNow bay in Terminal parking P3 level 0 - a short walk from your gate. You can access the dedicated DriveNow bay through the left-hand side barriers. Simply grab yourself a car and drive to Vienna International Airport, or next time you land, reserve a car using the DriveNow app while waiting at baggage claim. Then jump in your reserved car and head home fresh and relaxed. A service fee of €12 applies when you rent a DriveNow car from, or drop one off, at Vienna International Airport. You can drop your DriveNow car off wherever you want for free anywhere in Vienna's DriveNow Zone, including public short-term parking zones. 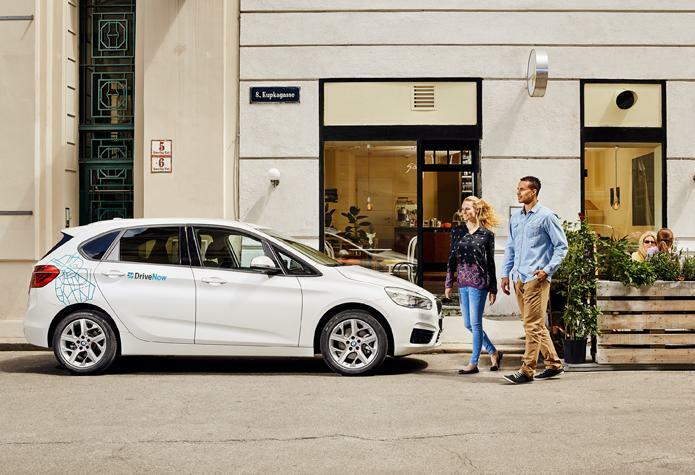 DriveNow cars are not allowed to be left in restricted residents' parking spaces, private car parks, multi-storey car parks and parking zones with specific parking regulations, such as disabled spaces, no-parking zones, car sharing parking spaces or taxi parking spaces. Read more about our parking regulations for Vienna. Register at DriveNow and start driving!